I'm having a great time here in India with friends and family. The best part being "mom-made" food in Mysore :) Recently Dad and I went to Chennai and on the way back in the train, we had the absolute pleasure of buying fresh grown vegetables from local farmers. One vegetable among the huge variety we bought was baby eggplants. 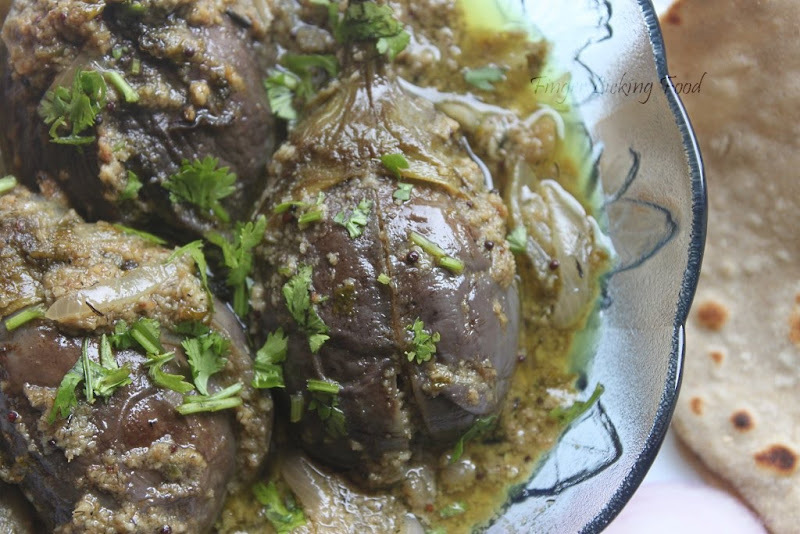 The best dish to make out of baby eggplants, is to stuff them and make "Guthvankayi", an authentic dish of Andhra Pradesh and North Karnataka. My mom-in-law makes it her way and mom makes a different, more authentic version. This curry is typically served with rotis made from ground Jowar flour. We had it with whole wheat rotis, mom promised to make Jowar rotis another day. So here it is, mom's version of Guthvankayi or Stuffed Eggplants Curry. 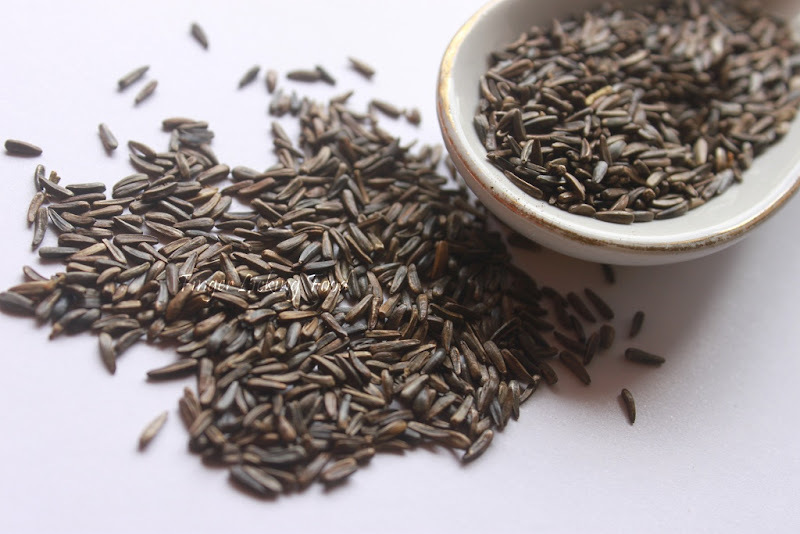 *Niger Seeds or Ucchellu is an ingredient commonly used in North Karnataka and parts of Maharashtra. It is more typically used in this eggplant curry. Toast the peanuts, white sesame seeds and uchchelu in a dry pan on medium heat for a minute. Grind to a fine powder and transfer to a medium sized bowl. Grind the green chillies to a paste. Add to the bowl with grated coconut, chopped coriander, salt, tamarind pulp and jaggery. Combine well. Cut the eggplants starting from the bottom, keeping the stem intact. Make an X cut all the way to the stem. Fill about a tablespoon of the prepared mixture into each of the eggplants. Heat a thick bottomed pressure cooker with oil. Add the mustard seeds and curry leaves, when they begin to splutter, add the sliced onions. Saute till onions are soft, then add the remaining paste and sauté for a few minutes until fragrant. Place the filled eggplants in the cooker, and cover with about 1-1 ½ cups water. The eggplants should barely be submerged. Place lid on pressure cooker, turn heat to high and let the steam rise. Once it does, place weight and turn heat to low; cook for 7 minutes. Garnish with more chopped coriander before serving with rotis. 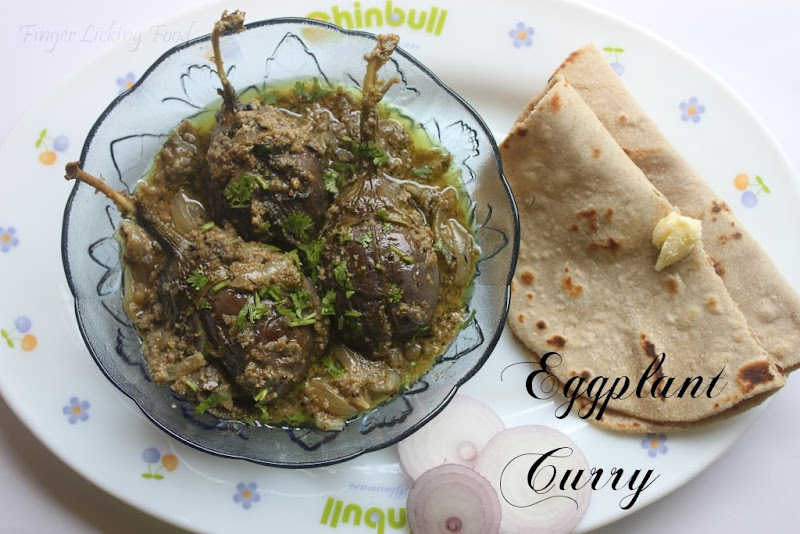 I love egg plants and this dish looks amazingly delicious. Lovely traditional dish. Looks so good. Nice recipe....YUM!YUM! Nice recipe, addition of bengal gram is something new to me, thanks for sharing! gunthavakayi looks delicious its my family favourite, never tried with niger seeds...you have a wonderfull space...we both have something in commen i also happened be a blogger by accident : ) while looking for some recipe !! if you get time do visit my blog. wow! It looks so yummy. I love stuffed brinjal. you've a great blog namrata.. I came to your blog while searching for cake recipes.. 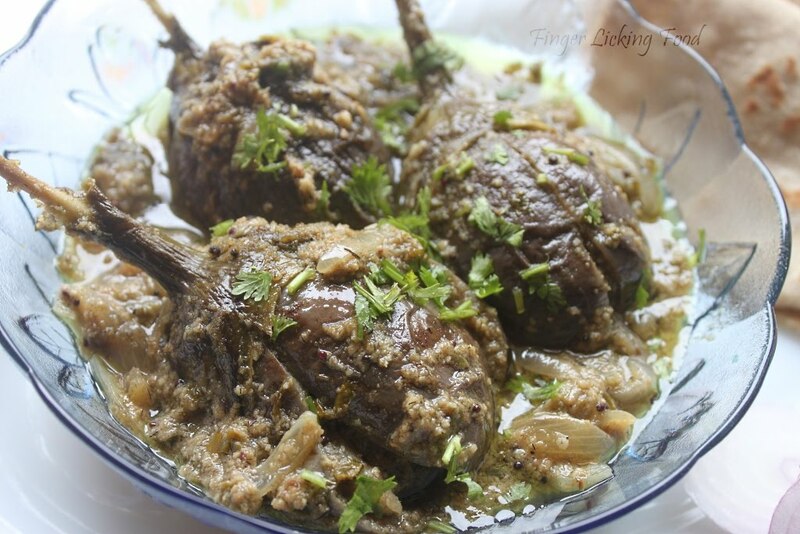 I had prepared stuffed brinjals but ur recipe with niger seeds seems to be different.. will give a try..
NAMROOS.... I tried this today... And my hubby was in awe.. he began asking me how you knew such a variety of dishes and all that.... Thanks to you, I am saved almost everyday.. Tonite I am gonna make Dal Maakhni - recipe from your blog... Thanks and keep posting more recipes.. I am so glad that you shared this recipe with us.I completely forgot that my mom used to make this and we loved it. Will be trying it very soon.